"Tarzan of the Air" Promo Book (Edgar Rice Burroughs Inc., 1934). 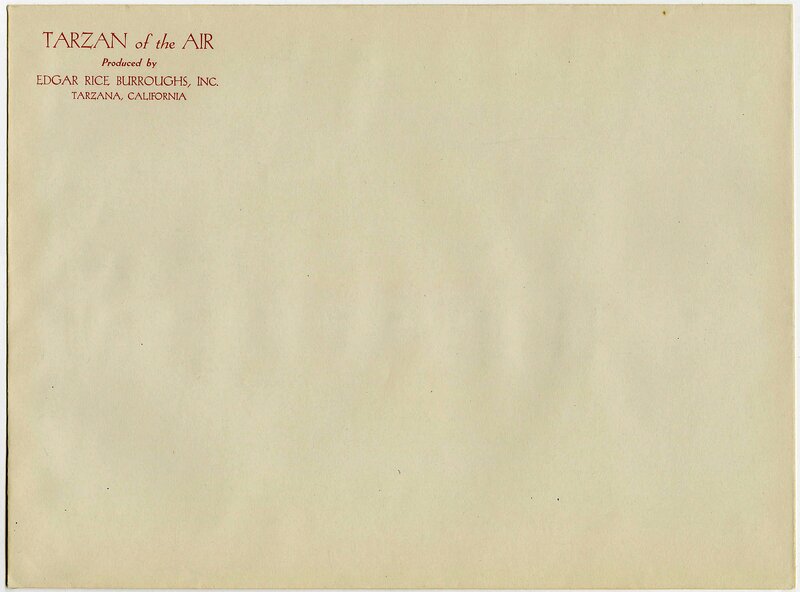 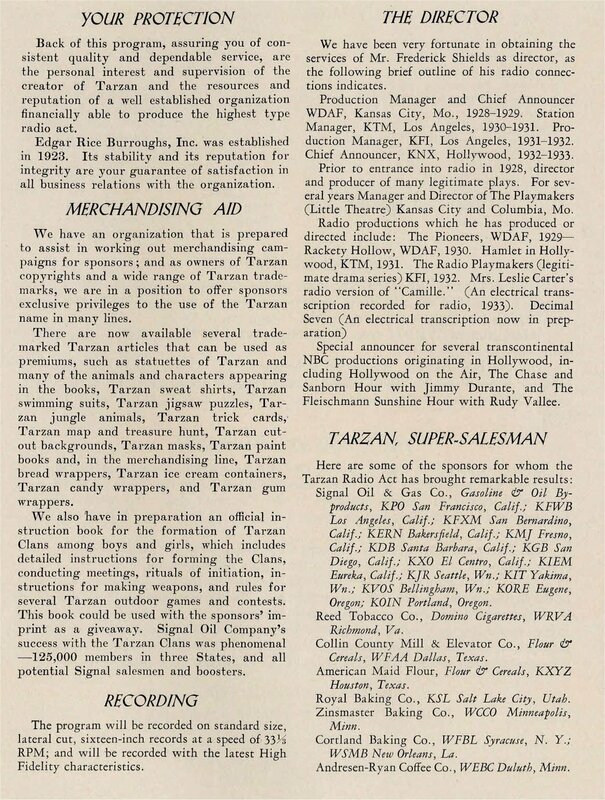 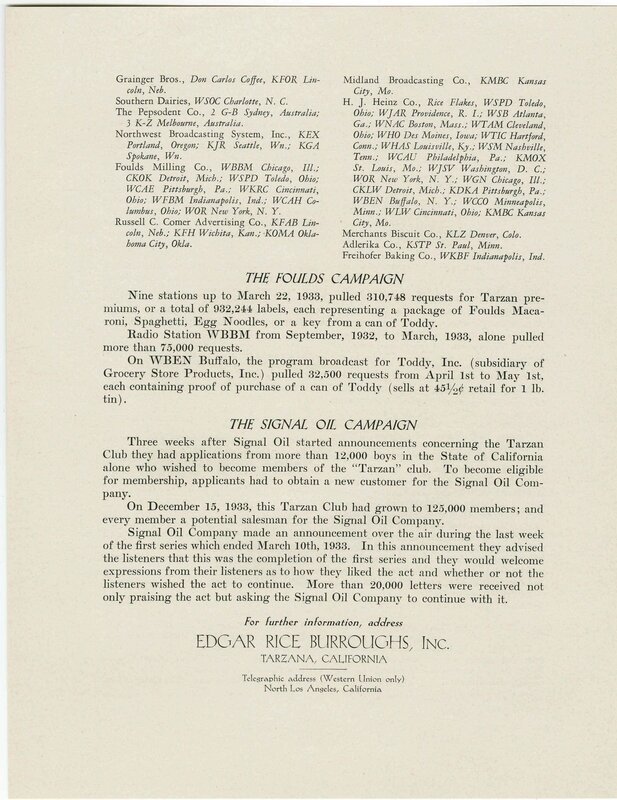 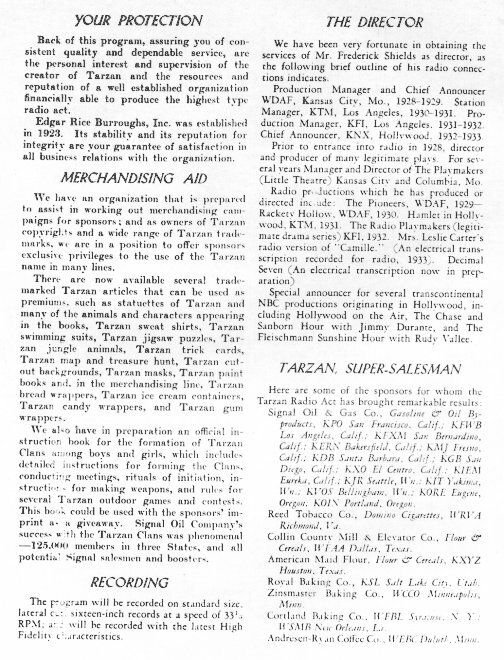 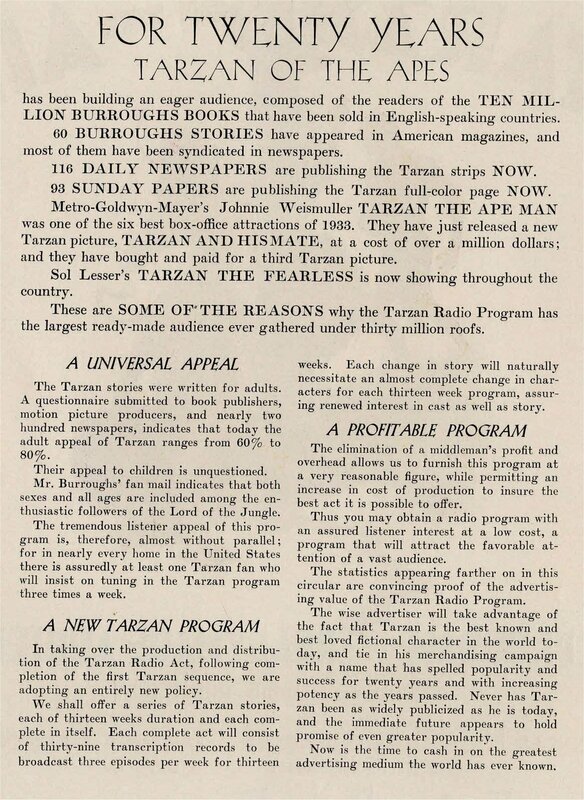 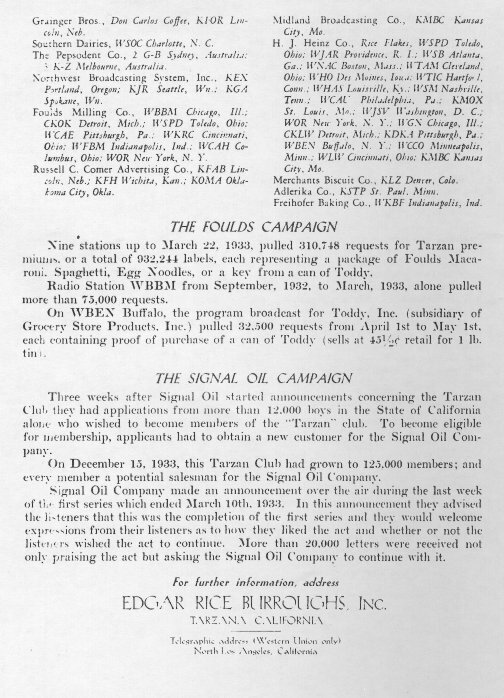 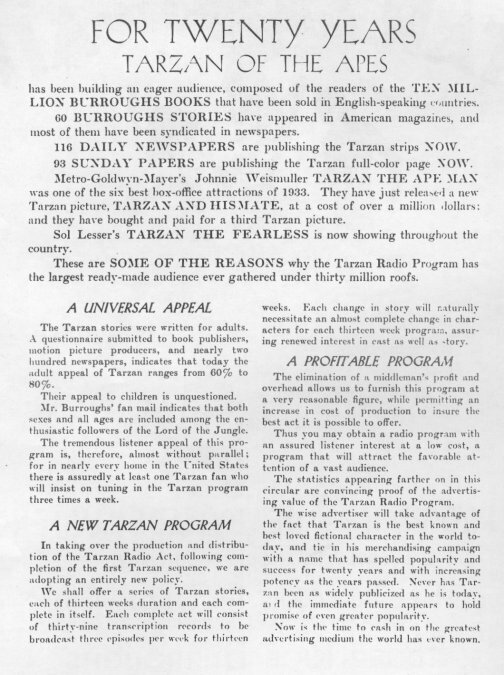 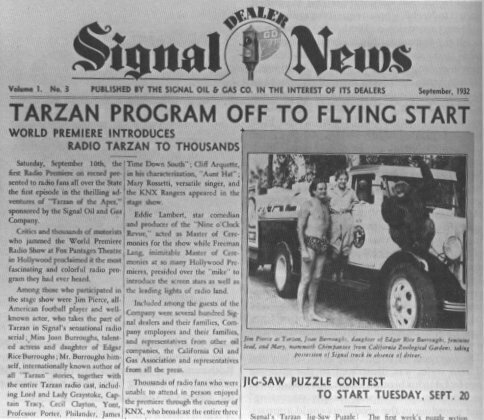 A four-page, 8.5" x 11" promo booklet used to promote the syndicated Tarzan radio show of the 1930s. 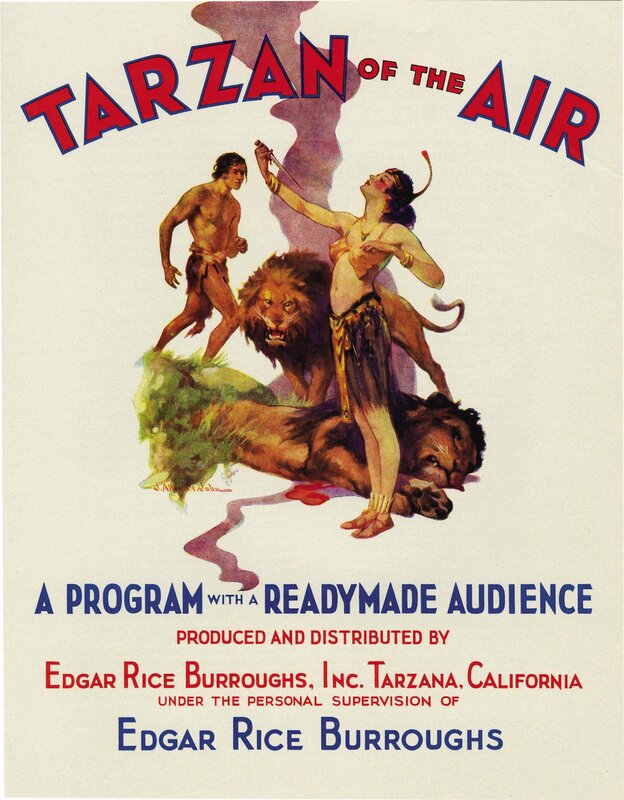 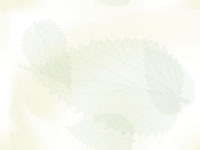 making the Lord of the Jungle one of the first multimedia creations of the 20th century.